The good news and the bad news about alternative medicine is that it goes to weird extremes to look for treatments. And so we find promise in unlikely places, from bee venom to magnetic pulses. There’s evidence these two are effective, but there’s no question they sound odd to most people. That was my reaction when I read about “cow therapy” and the idea of healing cancer through cow urine and cow dung. Before you delete this message. . .let me mention that human urine has been shown to be an effective treatment, although for sure it’s not widely used. An unlikely story… or is it? The most specific form of cow therapy I’ve come across involves a man named Amit Vaidya who, while living in the US, was diagnosed with gastric adenocarcinoma. He tried chemo, radiation, and even took part in a clinical trial for a new drug, but the cancer metastasized to his lungs, spine, and liver. Which effectively meant he had almost no chance of survival. Told he had six months to live, Amit traveled to India to visit relatives. While there he explored other treatments, including something called kunjal kriya, which calls for drinking six cups of warm water at the start of the day, and then throwing it all up. It’s supposed to be a detox practice that expunges mucus and potential waste from the stomach, esophagus, and lungs. After that, he went to a place called the Laxmiprasad Cancer Hospital, where the practitioners claimed to cure cancer in just 11 days using Ayurveda and “cowpathy.” The cost was one rupee (just over a penny). The hospital mainly relied on treatments comprised of things that came out of the Desi cows that lived on its property. This included a five-ingredient drink called Panchagawya, composed of milk, yogurt, ghee (a type of clarified butter), urine, and dung. Patients were expected to drink the Panchagawya twice a day. But the drink isn’t just for cancer patients. In parts of India, Panchagawya is given to women after the delivery of a baby and is the main ingredient of several Ayurvedic preparations. Besides taking this strange concoction, Vaidya and the other patients followed a Jain diet, which is vegetarian and lacks root vegetables like potatoes and onions. All the food was organic and gluten-free, and only seasonal fruits were served. Vaidya also took a number of other Ayurvedic herbs and potions. The cow-product combo was by no means the only one. The hospital also offered energy healing, mediation, spiritual counseling, crystal therapy, yoga, massage, breathing exercises, and group singing. Finally, during his stay at the hospital Vaidya was told to rub fresh cow dung into his tumors every day, and then stood in the sun till it dried. He also made it a point to interact with the cows each day, feeding and petting them. Vaidya ended up recovering from his cancer, though he reports in his new book that most of the other patients at the hospital died. So there you are. It’s entirely possible that Vaidya’s healing was precipitated by the initial Western treatments he tried. Or it’s possible he was helped most by adopting an attitude where he fully embraced life and connected with other people, with animals, and with his own spirituality. I’m quite certain the healthy diet, massage and meditation helped. In an eight-day study carried out in India and published in the International Journal of Green Pharmacy in 2010, 68 patients received cow urine therapy — a traditional Indian therapy. Participants’ diagnoses included throat cancer, breast cancer, cervical and uterine cancer, lung cancer, lymphoma, and a few others. The background to this treatment is that cattle are considered sacred in non-Muslim India. They are venerated in Hinduism and Jainism, two religions that originated in India. In Mandsaur, India, where this study was conducted, cow blood is believed to have pran Shakti, or Life Force, and as with any mammal, including us, parts of the blood are filtered by the kidneys and turned into urine. So any Life Force found in cow blood is also believed to be present in cow urine. Because of that, cow urine is thought to be capable of curing diabetes, blood pressure, asthma, psoriasis, heart disease, arthritis, gynecological problems, and a host of other ailments, including cancer. The urine itself, when analyzed, shows traces of nitrogen, sulphur, phosphate, sodium, manganese, carbolic acid, iron, silicon, chlorine, magnesium, hormones, enzymes, and several vitamins. Cow urine is also considered a germicide with the power to kill several different microbes. The reported results of the study were that symptoms lessened by the eighth day, and those who received cow urine therapy for two to three months seemed to benefit the most. Then in a review study from the Journal of Intercultural Ethnopharmacology in 2015, it was reported that several studies found cow urine to offer antimicrobial activity against a huge number of pathogenic bacteria, comparable to what you get from standard drugs like ofloxacin and gentamycin. Antifungal activity was also significant, as were antioxidant properties and the fact that cow urine can prevent damage to DNA caused by environmental stress. It’s the antioxidant activity of the uric acid and the compound allantoin that gives cow urine its anticancer benefits. 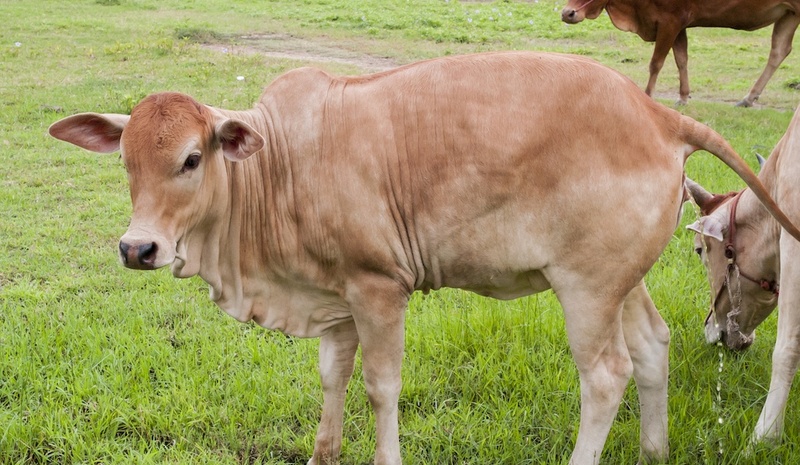 Thanks to these properties, cow urine helps reduce apoptosis in lymphocytes and repairs damaged DNA, and also serves as a scavenger for free radicals. Finally, in a study on 70 Swiss albino mice, the animals were given croton oil to induce tumors and concurrently received cow urine for 16 weeks. The outcome was a much lower incidence of tumors compared to the control group that was not treated with cow urine. If this treatment intrigues you in any way, I don’t recommend visiting a local farm to stock up on your own cow urine. And for the most part in India, that’s how it’s harvested: by walking right up to a cow about to urinate and holding a bucket under the tail. But gathering the urine is merely the first step. It’s then sent to a distillation unit where it gets filtered and bottled, and is then shipped throughout the country. There are some online product catalogs that offer cow urine in capsule form, but I can’t speak to the quality of those capsules. You can even find cow-urine based products that range from tooth powder to floor cleaner to lip balm and face cream. I wouldn’t use these products without knowing a heck of a lot more. But this is interesting: A cow urine product is making its way through the US patent system, seeking exclusive rights to use as a bioenhancer that also offers antibiotic, antifungal, and anticancer benefits. Gaining a patent is not proof of safety or efficacy. It just means the inventor is deemed to have been the first to come up with it. In view of the apparently poor success rate at the clinic Amit Vaidya went to, I would say their protocol is not ready for prime time. Our last issue talked about a much more accessible and proven cancer treatment. In fact, I put it among the ten best I’ve come across. If you missed the article, it’s running again below. “Chemotherapeutic potential of cow urine: A review.” By Gurpreet Kaur Randhawa and Rajiv Sharma, J Intercult Ethnopharmacol. 2015 Apr-Jun; 4(2): 180–186. “Cowabunga! Can Cow Therapy Cure Cancer?” By Harriet Hall on 31 July 2018. “Cow urine has become a booming business in India and this is how!” By Gitanjali Chandrasekharan, 31 July 2016. “Efficacy of cow urine therapy on various cancer patients in Mandsaur District, India – A survey.” By N. K. Jain, V. B. Gupta, Rajesh Garg, N. Silawat, Department of Pharmacology, B.R. Nahata College of Pharmacy, Mandsaur, India. “Molecular studies on apoptosis in avian lymphocytes induced by pesticides.” Ambwani S. PhD Thesis. Pantnagar, India: Submitted to Department of Biotechnology and Molecular Biology, College of Basic Sciences and Humanities, GBPAUT; 2004.